[New York, Macfadden, 1967. No. 60-351. An Inspector Menendes mystery. First published, Garden City, NJ, Doubleday, the Crime Club, 1964]. 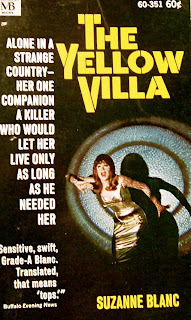 Yellow Villa is a potboiler mystery set in Mexico and arrives a little late for the vintage cycle. Anyway, the Macfadden reissue features a curiously garish 60s style cover with a shapely brunette in a tight fitting spacesuit-like dress brightly lit by a swirling spotlight. 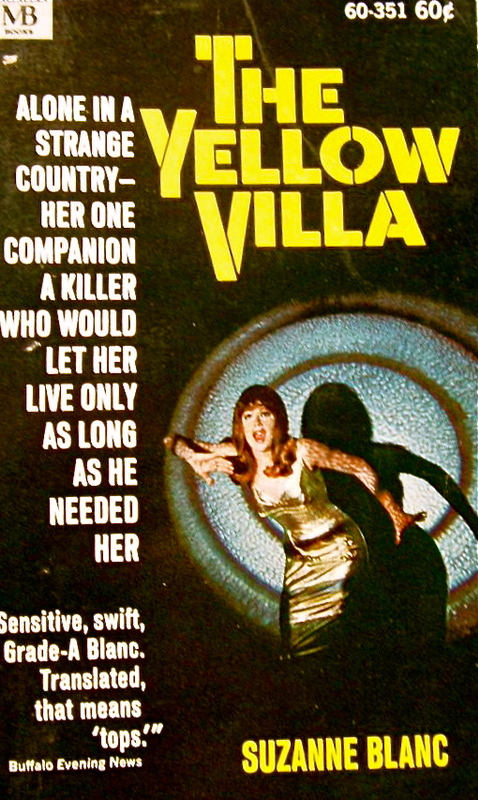 Cool yellow lettering for the title and author. Is the model on the cover wearing a wig? 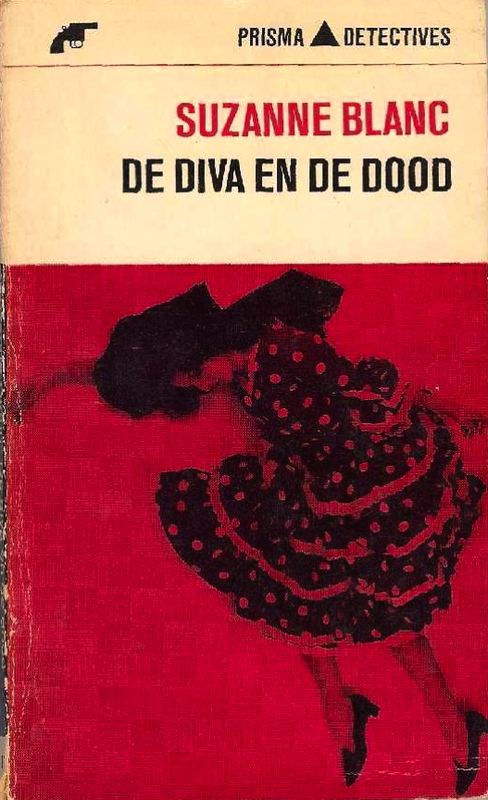 Fun to compare this vintage pb interpretation with the Dutch Prisma Detectives' De Diva en de Dood. I like the Macfadden (quite a bit) better.